Monocytes which have immigrated into the vascular wall differentiate to macrophages and bind lipoproteins which have permeated the endothelium and become modified within the arterial wall, for example by oxidation. Unregulated uptake of oxidatively modified lipoproteins via type A scavenger receptors leads to the intracellular accumulation of cholesteryl esters in macrophages and thereby to foam cell formation. 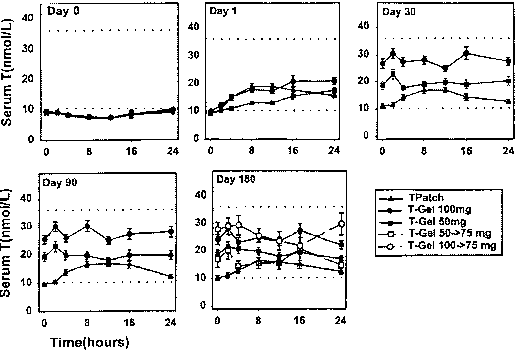 Foam cells together with T-lymphocytes, release inflammatory mediators which stimulate the proliferation and migration of smooth muscle cells (Glass and Witztum 2001; Li and Glass 2002; Ross 1999). Estradiol inhibits oxidation of LDL both in the presence and absence of cells including macrophages. By contrast, testosterone increases the oxidation of LDL by placental macrophages in vitro (Zhu etal. 1997). Moreover, dihydrotestosterone dose-dependently stimulates the uptake of acetylated LDL by scavenger receptor type A and, hence, the intracellular cholesteryl ester accumulation in macrophages. The stimulatory effect of dihydrotestosterone was only seen in macrophages of male but not female donors andwas blocked by the androgen receptor antagonist hydroxyflutamide (McCrohon etal. 2000). After internalization, oxidized LDL is transported via endosomes to lysosomes for degradation. Cholesteryl esters are hydrolysed by lysosomal acid lipase. The liberated cholesterol leaves the lysosome membrane to be re-esterified by acylCoA-cholesterol:acyltransferase. The formed cholesteryl esters can be stored in the cytosol giving the foamy appearance of lipid-laden macrophages. The transport of cholesterol from lysosomes to the site of re-esterification is inhibited in vitro by various steroids with an oxo-group at the C17 or C20 position such as progesterone, pregnenolone, and androstendione. 17-hydroxy-steroids including testosterone were less effective (Lange et al. 1996). Cytosolic cholesteryl esters can be hydrolysed by neutral cholesterol esterase which is activated by cylclic AMP. In adipose tissue of female rats, neutral cholesterol esterase is more active than in adipose tissue of male rats. Moreover, exogenous estradiol increases neutral cholesterol esterase activity in male rats and in female rats which have been ovariectomized. in vitro, estradiol but not testosterone increased the activity of neutral cholesterol esterase in the murine macrophage cell line J774, probably by increasing the activity of a cyclic AMP dependent protein kinase A (Tomita etal. 1996). Non-hepatic and non-steroidogenic cells cannot metabolize cholesterol and, therefore, can only dispose off excess cholesterol by secretion. Cholesterol efflux from cells is hence central to the regulation of the cellular cholesterol homeosta-sis. Non-specific and passive (i.e. aqueous diffusion) as well as specific and active processes (i.e. receptor-mediated) are involved.To date, two plasma membrane proteins are known to facilitate cholesterol efflux. Interaction of the scavenger receptor B1 with mature lipid-containing HDL is thought to facilitate cholesterol efflux by re-organizing the distribution of cholesterol within bilayer plasma membrane. The ATP binding cassette transporter A1 mediates phospholipid and cholesterol efflux to extracellular lipid-free apolipoproteins by translocating these lipids from intra-cellular compartments to the plasma membrane and/or by forming a pore within the plasma membrane, through which the lipids are secreted (Oram 2002; von Eckardstein etal. 2001). Testosterone up-regulates the expression of the scavenger receptor B1 in human monocyte-derived macrophages thereby stimulating HDL-induced cholesterol efflux. No effect of testosterone was seen on the expression of the ATP binding cassette transporter A1 (Langer et al. 2002). Activated macrophages produce various cytokines including chemotactic protein 1, interleukins (IL) 1 and 10, and tumour necrosis factor a (TNFa), as well as growth factors such as platelet-derived growth factor 1. These bioactive molecules induce or inhibit various processes which contribute to atherosclerosis, e.g. recruitment of macrophages into the vascular wall and smooth muscle cell proliferation and migration (Glass and Witztum 2001; Li and Glass 2002; Ross 1999). Effects of testosterone on the production of cytokines and growth factors have not been studied in macrophage foam cell models but only in unstimulated or lipopolysacharide-stimulated macrophages. Whether these results are also valid for macrophages in the arterial wall is not known. For example, estradiol but not testosterone inhibited the migration of monocytes in response to chemotactic protein 1. In J774 macrophages, testosterone exerted potentially anti-inflammatory effects by stimulating IL-10 synthesis and inhibiting the production of TNFa and nitric oxide (D'Agostini 1999; Friedl etal. 2000).